I have a problem with amber colored twig ants. I have tried various baits and insectides an nothing seems to work. It seems like the ants like palm trees, I see the streaming up and down several of our palms. Another thing I have noticed is that the visual presence of the ants is more prevelant during day time, full sun. I live in the Sarasota, FL area, so we have lots of hot sunny days. I was going to attached a pdf file with a a picture of the ant and an article, however your system doesn't alow pdf files. I am looking for any suggestions you can offer to help me get ride of these guys. Forgot to mention that these guys do bite, not as badly as fire ants but the bite stings. Thanks in advance for any help you may be able to provide. I have talked with several pest control companies, they have not been able to provide any suggestins or help. Gourmet Liquid Ant Bait will kill any ant that feeds on it. The trick is to use an adequate delivery dispenser such as the KM Ant Pro Dispenser. Thats the reason that many times you will see references to both the KM Ant Pro Dispensers and Gourmet Liquid Ant Bait. I am not famaliar with any specific research that has been performed on the ACT Ant. 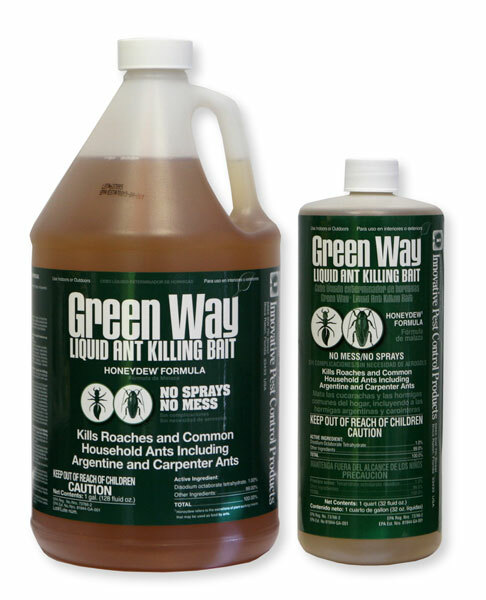 If the ACT ants feed on the Gourmet Liquid Ant Bait, it will kill them. The question is, will they feed. Sometimes trial and error is the only solution. There are literally no ants that it will not kill. Boric acid based ant baits are the best because there are no known resistance issues with them. They underlying question is, will the ants feed on it. I will talk to the manufacturer who lives in Florida and discuss this. If there is any additional information, I will post back to this question. Thanks.